Coriander Shea says: How delightfully creepy. :)	~ Reply? Veronica Jones says: She's beautiful, yet looks so sad! Does she not want to be undead royalty? ~ Reply? 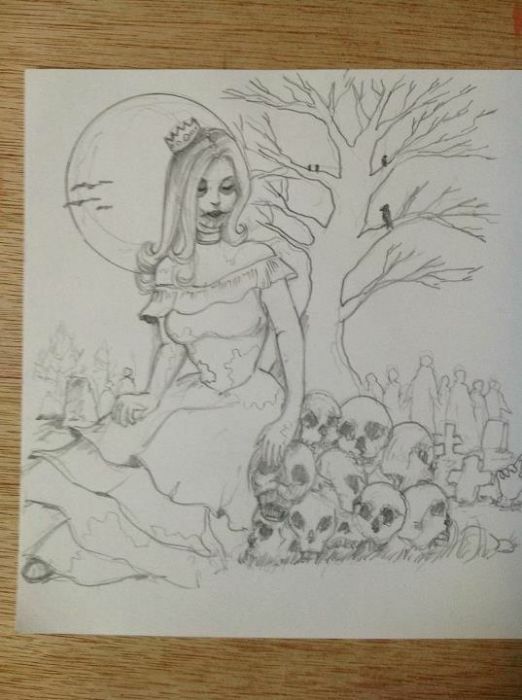 Rusalochka says: In my mind, zombies are never sit still :p Love her skull garden... great sketch! ~ Reply?